Junior swim-up suite with private patio and concierge service. 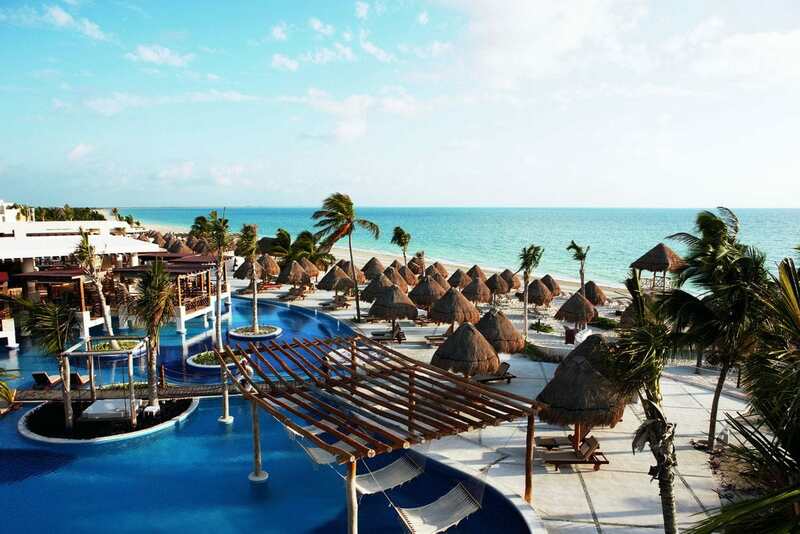 One of the top luxury hotels in Cancun, Excellence Playa Mujeres is a sophisticated, adults-only retreat packed with activities and entertainment. The resort features seven pools, four of which are heated. There are also four whirlpools and a relaxing man-made lazy river. Guests have access to two miles of white-sand beach with sun loungers, daybeds, and palapas. Cream-colored guest rooms feature wooden furniture and marble flooring, with many offering beautiful four-poster beds. All rooms have big balconies with views of the spa, pool, or ocean, as well as walk-in closets, whirlpool tubs, and mini-bars with premium liquor. Marble bathrooms offer rainfall showers and twin vanities. Some suites have swim-up suites or rooftop terraces with heated plunge pools. The expansive resort features seven pools and a lazy river with over-water hammocks. The spa is one of the resort’s stand-out features, offering a 12-step hydrotherapy circuit that includes Swedish saunas, an ice-treatment room, and steam baths. Couples’ treatments are available, as are unique therapies like Shirodhara. Dining options include Mexican, Mediterranean, Indian, and French fare. Flavor Market offers a varied menu of small plates paired with wines recommended by an on-staff sommelier. All of the restaurants include plenty of vegetarian options on their menus. 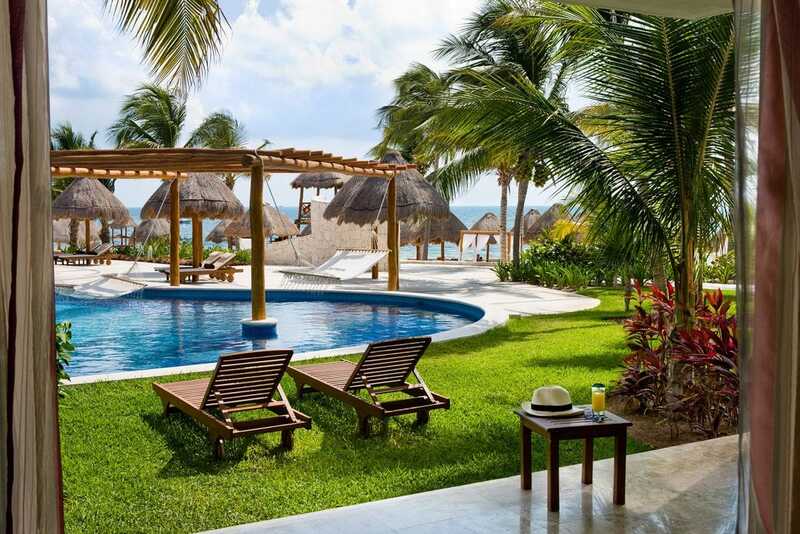 The resort’s extensive line-up of activities includes Spanish lessons, cooking classes, archery, bike tours, and dancing, as well as nightly live entertainment. Excellence Playa Mujeres also features an 18-hole golf course, as well as a 24-hour fitness center and outdoor fitness trail. Diving, windsurfing, kayaking, and snorkeling are just some of the water sports available. For more information, visit Excellence Playa Mujeres’ website.